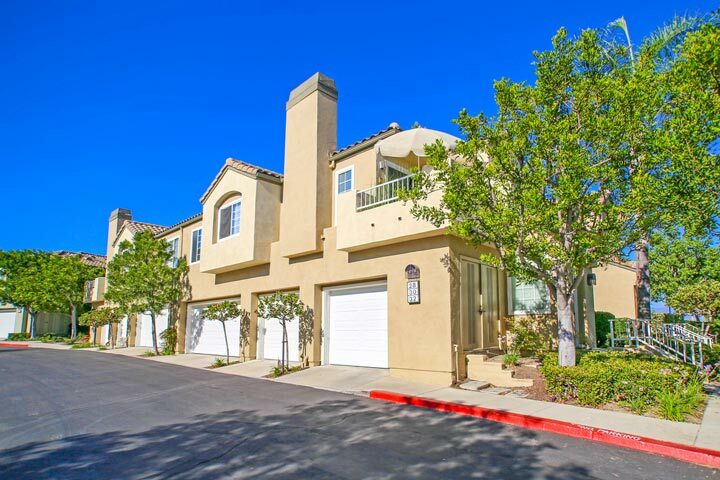 Villas North homes are located in the coastal community of Aliso Viejo. The Villas were built in the late 1980's to early 1990's with two neighborhoods known as Villas North and Villas South. The Villas North community features two to three bedroom townhouses that range in size from 1,100 to 1,600 square feet. The homes often feature private entry courtyards, vaulted ceilings, fireplace and attached garages. Below are the current Villas North homes for sale and for lease in Aliso Viejo. Please contact us at 888-990-7111 with questions regarding this community and any of the homes listed for sale here. The Villas North community is located north of the 73 freeway and offers a great location near the Aliso Town Center shopping area. 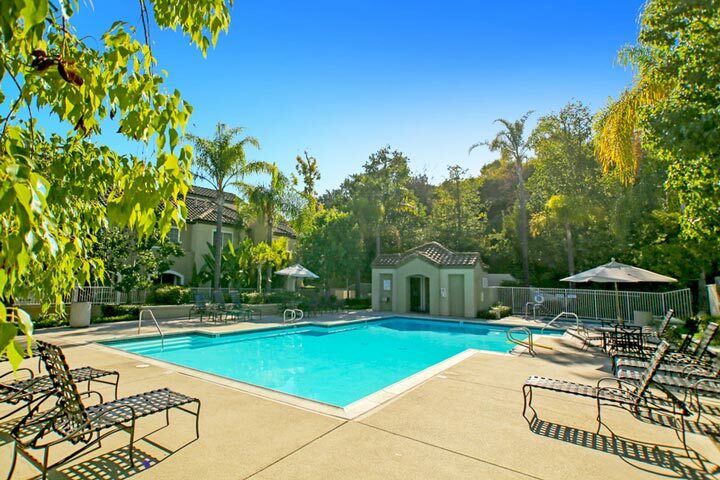 The Aliso Viejo community park backs up to this community with acres of open spaces for children and pets to play. Select properties in this neighborhood will offer panoramic views and FHA and VA loans often approved here. Homeowners association dues include a nice community pool and spa as pictured below.